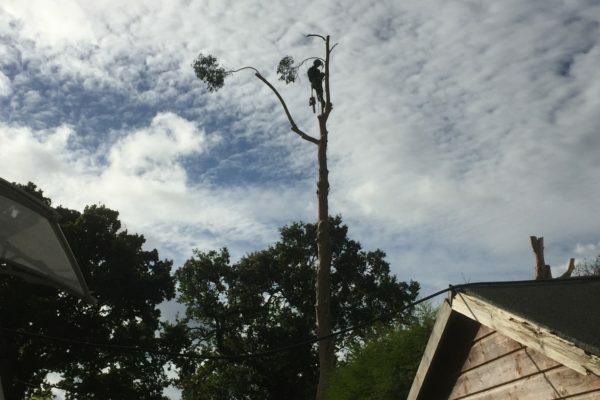 We are a highly professional and reliable team of tree surgeons working for domestic and commercial clients in Crawley, Horley and the wider areas of Sussex. 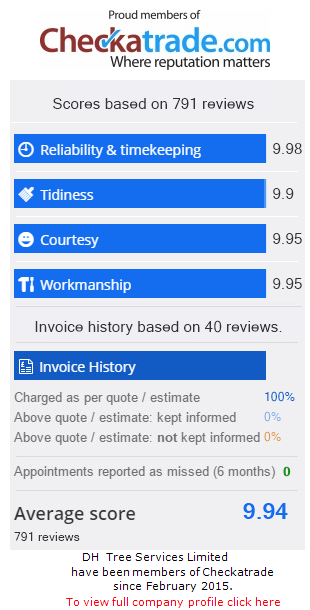 We take great pride in the professional reputation we have built up over many years we have been in business. We promise all customers will receive a thoroughly professional service at all time. We are fully insured and are certified by the National Proficiency Test Council (NPTC), which is part of City and Guilds. 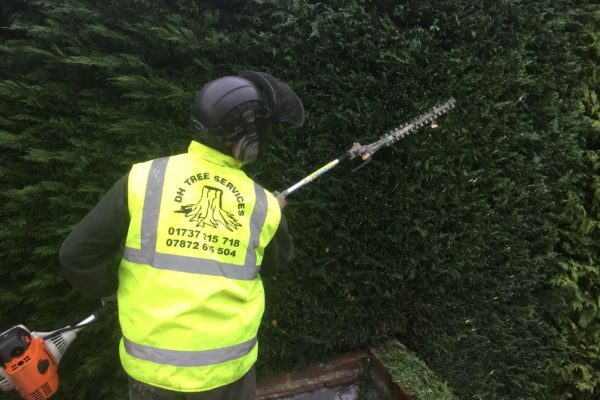 We can undertake all jobs, no matter how large or small, so whether you need a tree pruning, your hedge trimmed or tree felling, we are on hand to help. Trees are wonderful addition to any garden but if they are not maintained properly, they can quickly get out of hand and cause problems. 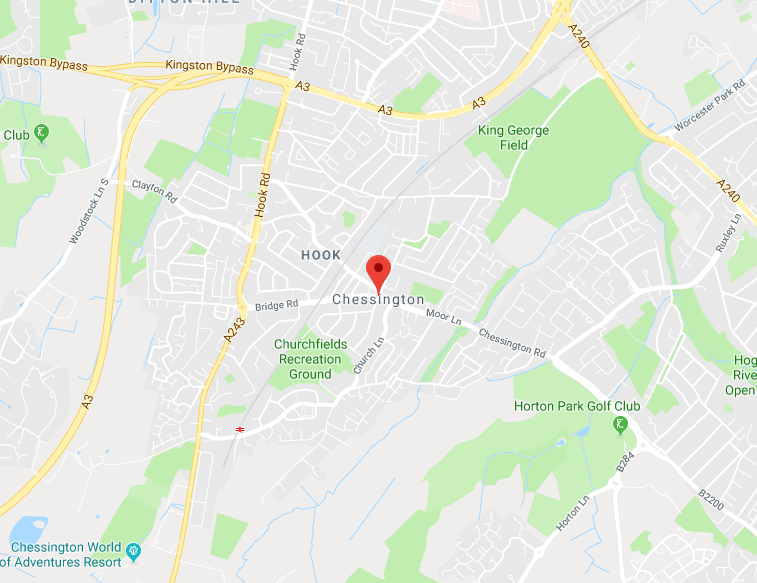 Starting off with a comprehensive survey of the work, we can quickly evaluate your needs and will be able to provide you with a swift, no-obligation quote. 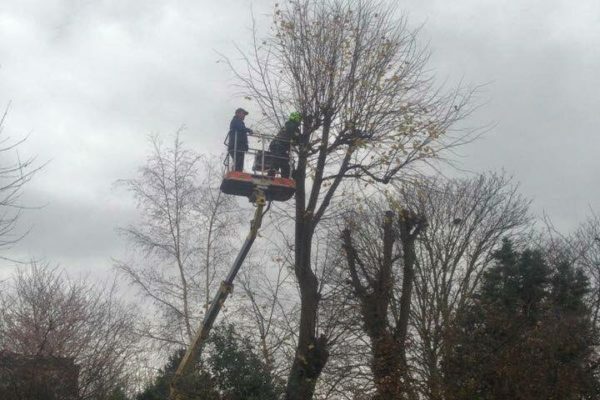 Where possible, we will always recommend against the complete removal of tress and look at ways the tree can be pruned, such as crown lifting, crown thinning or crown reductions. Before any work is done, we can check for Tree Preservation Orders and check to see if the tree is part of a recognised Conservation Area. 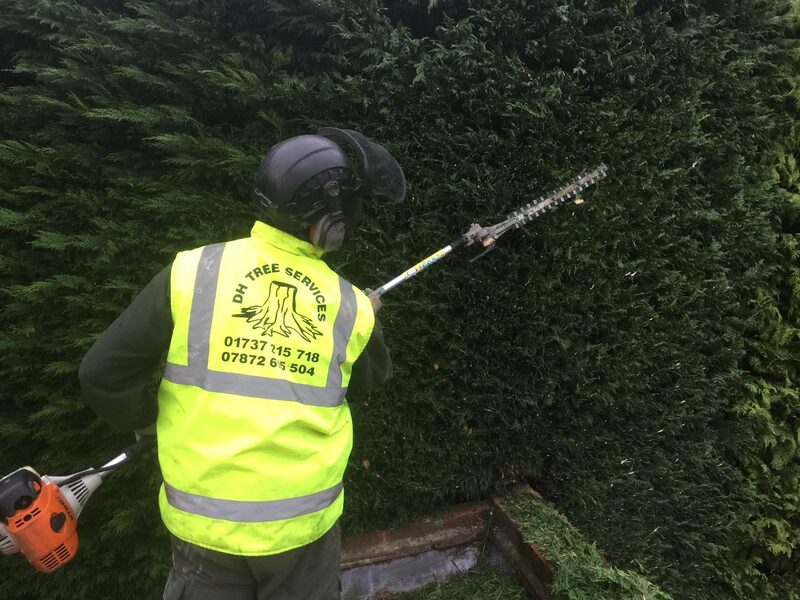 Hedge trimming: We undertake all types of hedge trimming and cutting work, so your hedges remain neat and healthy. 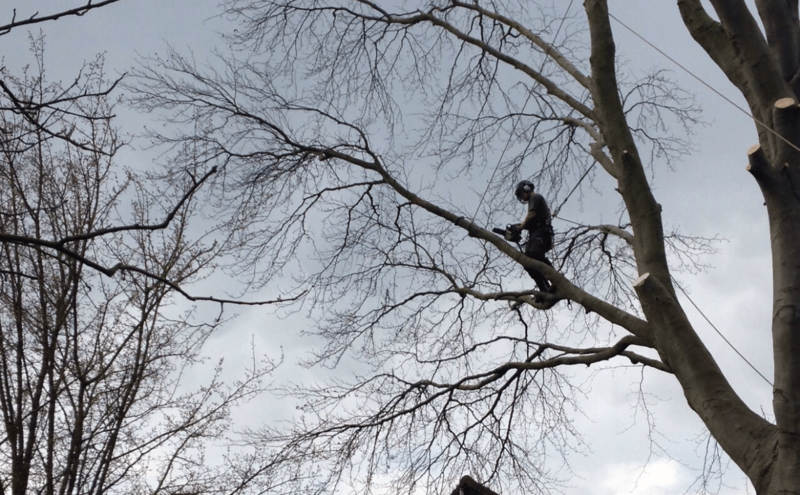 Tree pruning: Our friendly and professional tree surgeons offer our customers a full range of arborist services, including crown reduction, crown thinning, pollarding and formative pruning. 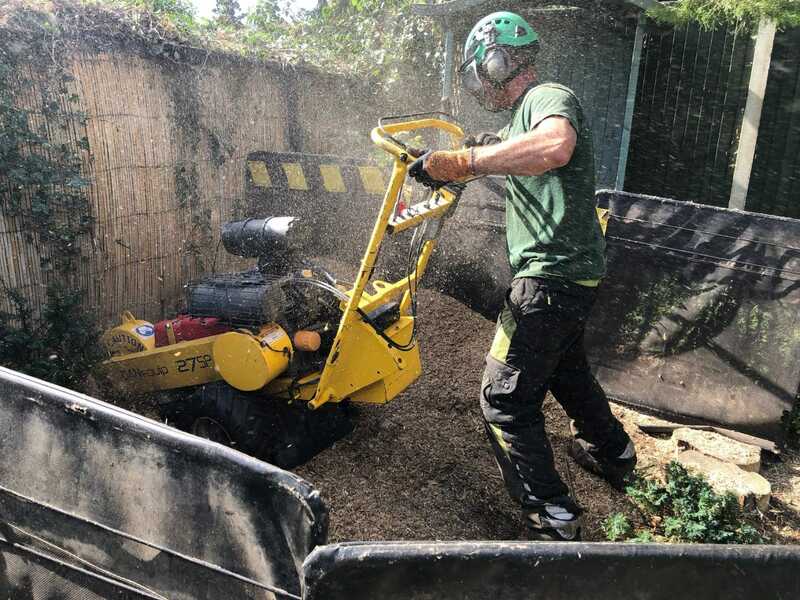 Tree stump removal: If you have been left with an unsightly tree stump, our team can remove it safely and efficiently using a special stump grinding machine. We can also remove stumps using a slower-working herbicide treatment. 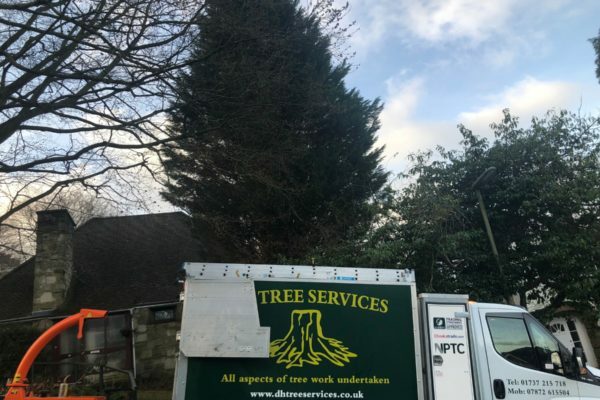 Tree felling: Sometimes trees need to be completed removed and we can do this via straight felling, if there is enough space, where the whole tree falls from its base guided by ropes and wedges. More commonly, we section fell a tree, where it is removed bit by bit. Garden clearances: We can help you create a wonderful space you are proud of and if you need your garden cleared, we are the team to call. Seasoned logs: We can supply and deliver seasoned logs for your fire and wood-burning stoves. These logs are dry stored and always checked before delivery to ensure they are ideal for burning. Are you keen to hear more about our tree service? Please call now on 01737 215 718 or 07872 615 504. 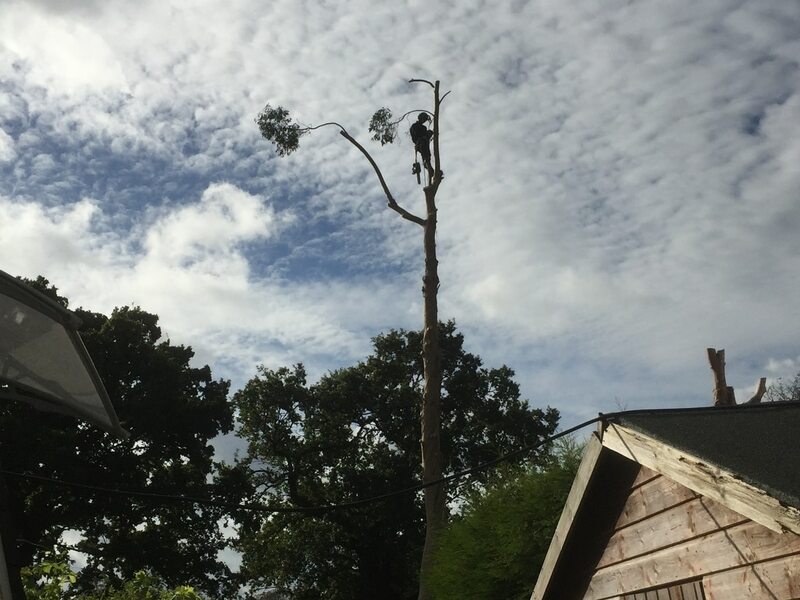 We also offer specialist tree work in Oxted and Sutton. 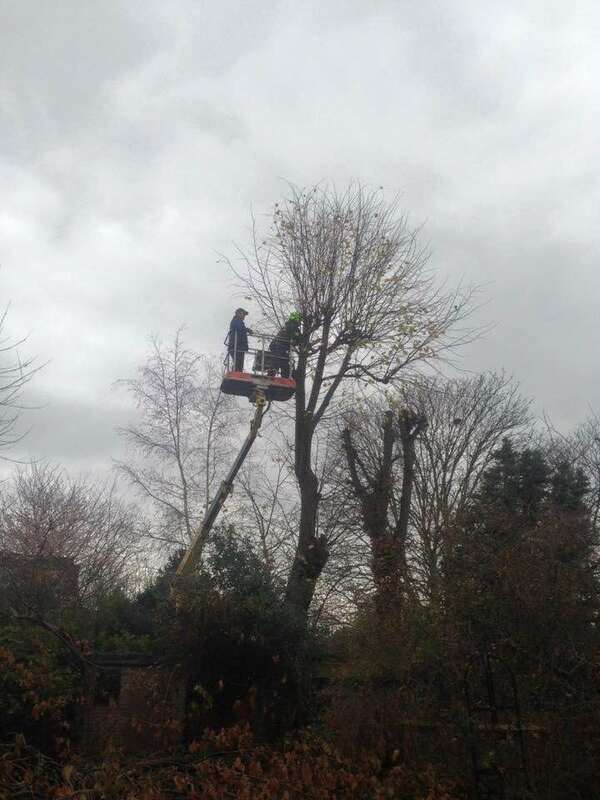 With a huge wealth of experience the team at DH Tree Services are experts in tree felling. 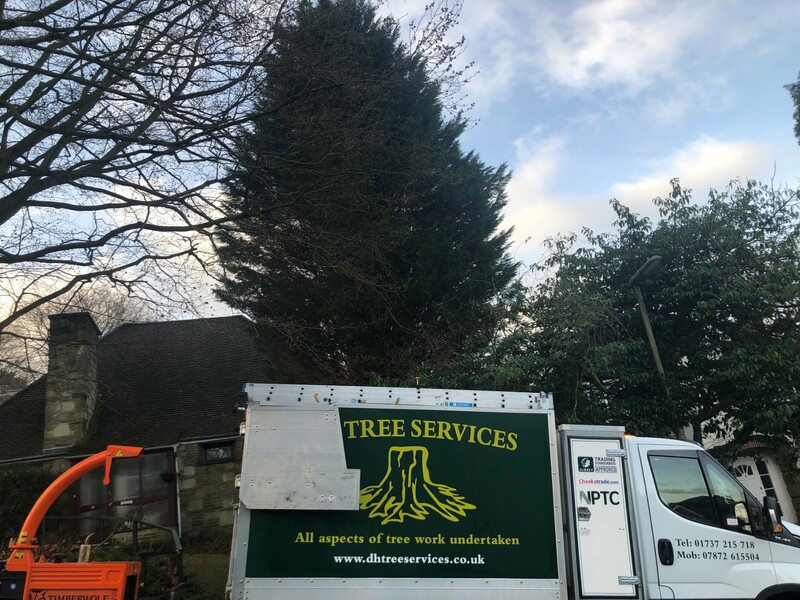 We have an excellent health and safety record and will always ensure that trees are cut down properly, with no damage to the surrounding areas. Where it is not safe or practical to straight fell a tree, it may be climbed and felled in sections. 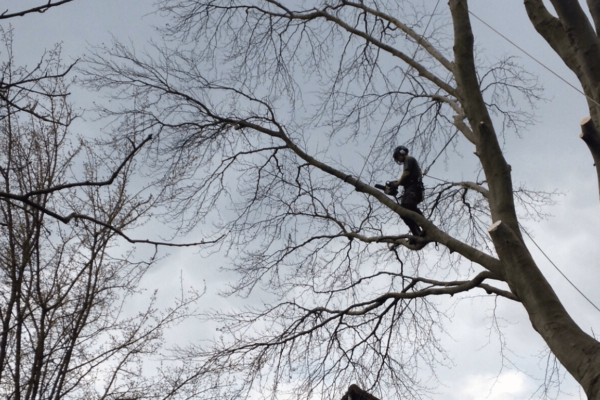 For sectional felling, we use state of the art rigging and lowering devices, so the tree can be lowered in sections. DH Tree Services provides a variety of tree pruning services for customers. Trees are pruned for a number of reasons; the height may be an issue because they are directly damaging a property or present an imminent threat in the event of storm or bad weather. Perhaps you a tree is taking up more space than you had anticipated or is blocking out the light? We will assess your tree and advise which pruning solution is most appropriate for your needs, so it will keep your tree in optimal condition. 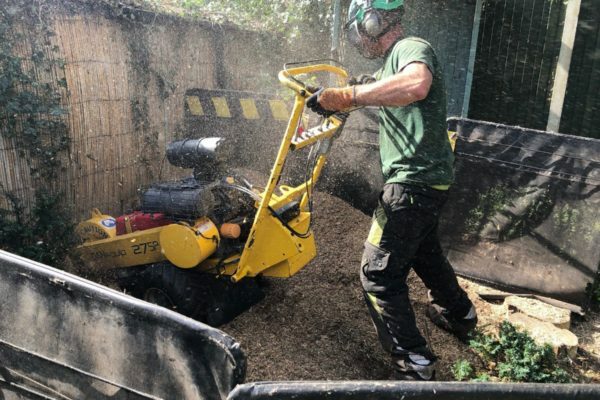 We can remove tree stumps quickly and effectively, so you can reclaim the space in your garden for re-turfing or re-landscaping. Tree stumps are not just an eyesore but can become a hazard. We can remove them with specialist tree stump grinding machinery or with a herbicide treatment.